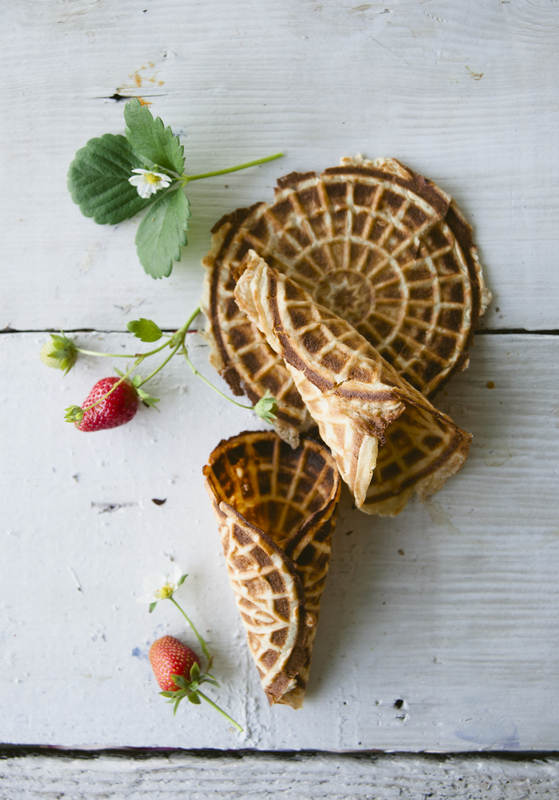 I was determined to create a waffle cone recipe when I turned Paleo back in 2013. 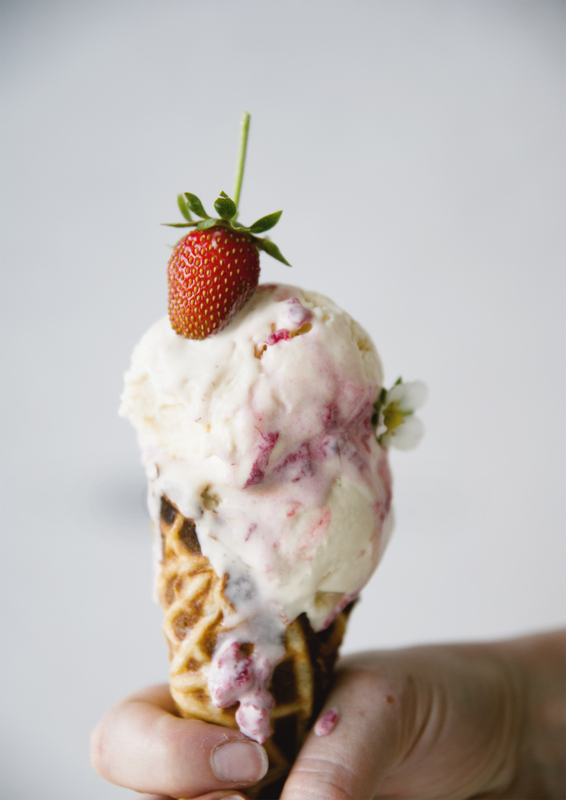 The novelty of biting into a huge ice cream cone was something I could not give up. 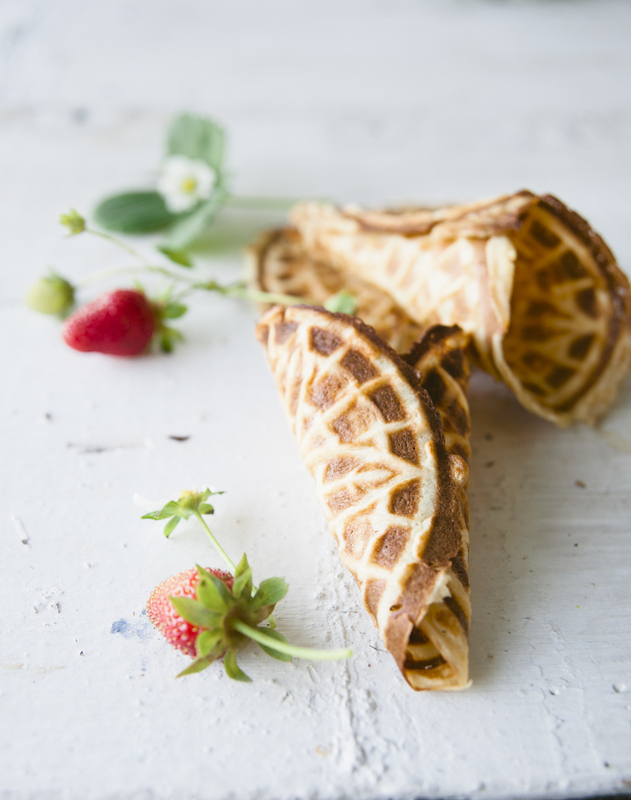 I don’t have a waffle iron, so I use my pizzelle maker (Yes, I have a pitzel maker. It was given to me by my Italian in laws). 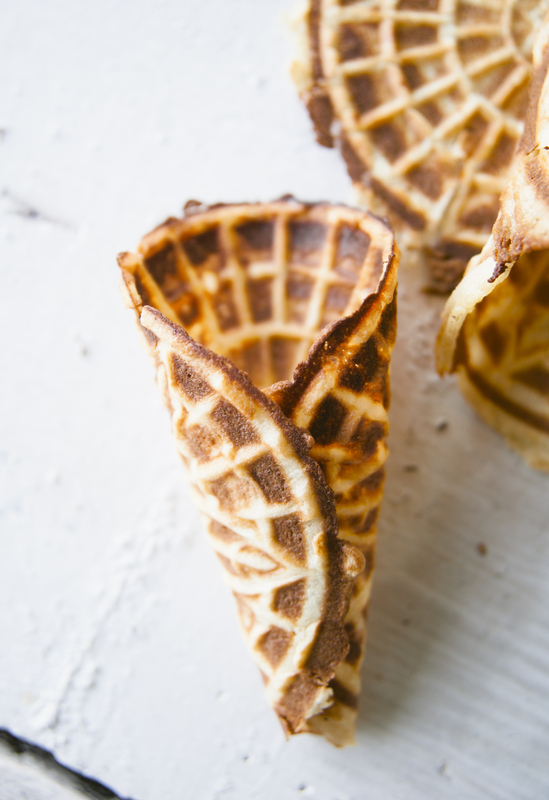 These waffle cones are so delicious, crispy and have the perfect amount of sweet. 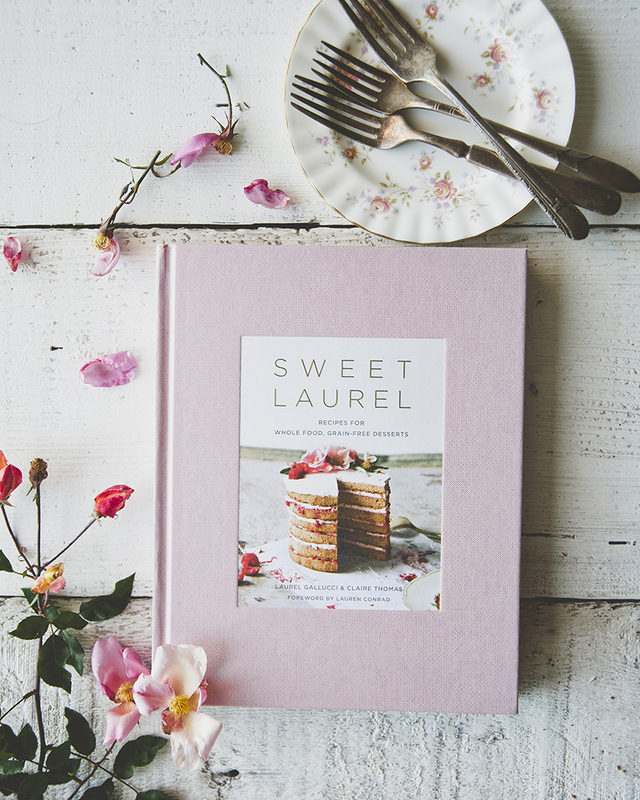 With our 2 ingredient ice cream (link), your summer nights will be complete! Preheat ice cream cone maker (I use my pitzel maker). Put all ingredients in a bowl and stir well. Please two tablespoons of batter in pitzel maker. Remove when hardened and roll around a round cylinder. The handle of an ice cream scooper works well. My hubby and I used to use a banana. Allow to cool on counter. 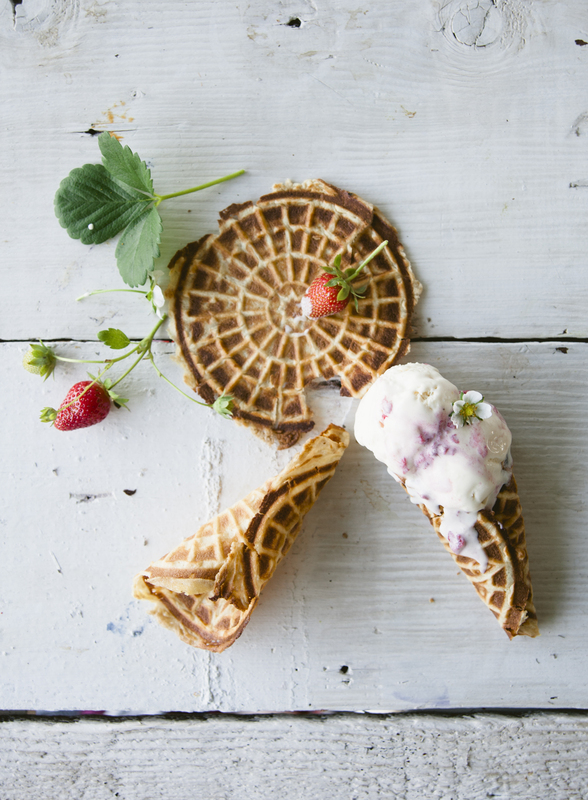 This entry was posted in dessert, summer, Uncategorized and tagged 2 ingredient ice cream, almond flour, baking, coconut, coconut oil, dairy free, dairyfree, easy, gluten free, gluten free waffle cones, grain free waffle cones, grainfree, ice cream, ice cream cone, maple syrup, paleo, pitzel, pitzel maker, refined sugar free, sweet laurel, sweetlaurelbakery, vegan on August 5, 2016 by sweetlaurel.